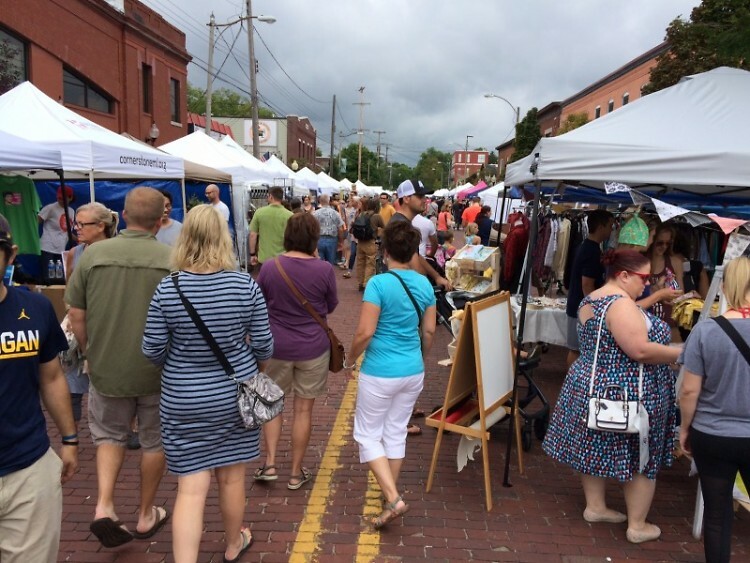 Despite a threatening weather forecast, the annual Eastown Streetfair was a celebration of crafts, music, food and beer for Grand Rapids locals and visitors. On Saturday, the Eastown Community Association’s and the Eastown Business Association’s 44th annual Eastown Streetfair provided a little bit of everything from art, food and music to a downpour of rain and finally sunshine. 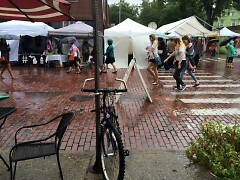 The over 140 artisans and non-profits set up in booths along Wealthy Street faced an hour or two delay when their products needed to be covered with plastic and any loose art prints or brochures needed chasing in the wind. 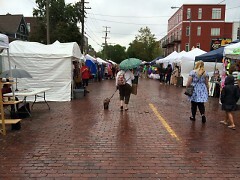 However, people enjoyed the celebration of the Eastown neighborhood all day long. 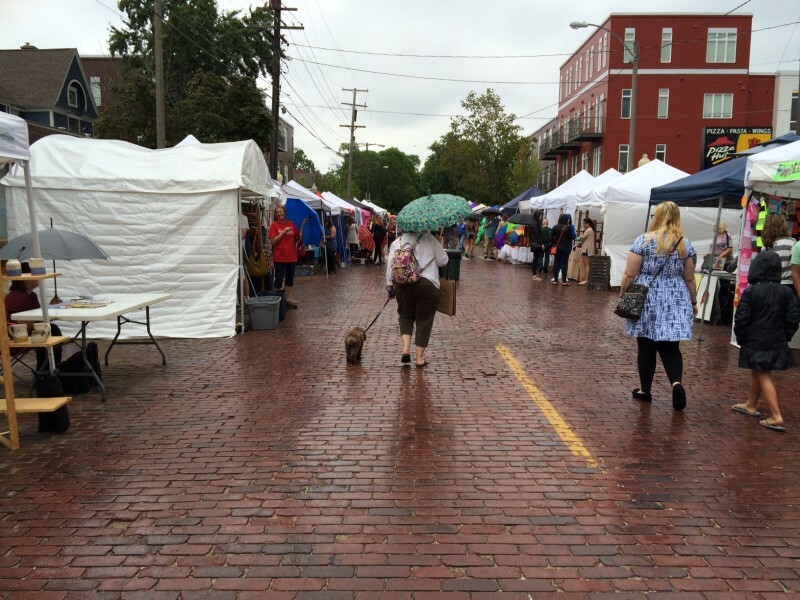 Throughout the changes in weather, the festival brought families, friends and plenty of dogs out to Eastown to explore an array of patterned dresses, metal artwork, candles, soap, wooden boxes, screen printed T-shirts, glass necklaces and mirrors. There were henna artists, sidewalk chalk contests and raffle baskets filled with items donated from vendors as a fundraiser for the Eastown Community Association and the Eastown Business Association. Nine different bands played on the main stage near the beer tent and food trucks selling items like smoked pork, tacos, cinnamon roasted nuts and ice cream. Eight more bands played inside Billy’s Lounge. Eastown Streetfair attendees could also take music home with them in the form of records and CD’s purchased from WYCE 88.1 FM’s annual sale. Marisa Sandahl, executive director of the ECA, noted that one of the big differences for this year’s event was a switch in the layout of the Streetfair. The Streetfair closed with a performance by local hip hop artist Lady Ace Boogie at 7 p.m. along with good weather and a crowd. According to Sandahl, people look forward to the Streetfair long before September begins and some call it their most anticipated day.